ETS2017 will be held on the main floor of the James B. Hunt Library (2nd floor), in Duke Energy Halls A,B,C, and D, which have a combined capacity of 150 people sitting comfortably in round tables. This is a one-track event, meaning that all talks will be held on a single stage. 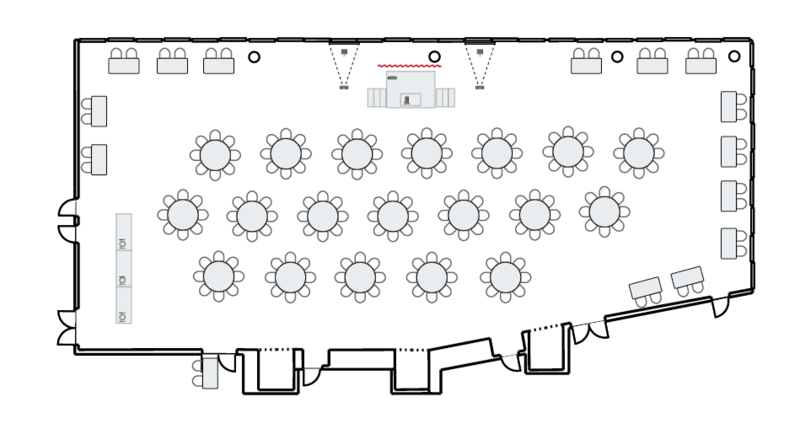 Exhibitors will be present in the same room, around the periphery of the room. Should additional space be required, the 4 rooms can be configured differently to accommodate up to 240 people. A light breakfast buffet and lunch will be served in the event hall, along with periodic snacks in between sessions. Yes. High speed wifi will be available throughout the conference space/venue. Yes. If you are an exhibitor, you will have the option of setting up your exhibitor space beginning at 7 pm May 1. One 8 ft table, 2 chairs, and a table cover, plus any power extension cords needed. Exhibitors will also be given 3-5 min on stage to talk about their product/service during the lightning talks session beginning at 10 am May 2. The exhibitor fee also includes 2 tickets to the event. A light breakfast bar and nice lunch will be provided and is included for all attendees, exhibitors, speakers, volunteers, and sponsors. During lunch, sponsors who wish to will also be given a chance to speak on stage about their business or a topic they wish to discuss. Yes. A welcome reception with some free drinks included is scheduled for the evening of May 1, and a closing party is also scheduled for May 2 after the event. These will be done at HQ Raleigh, a super cool tech co-working space, located at 310 S Harrington St in the downtown warehouse district of Raleigh. We recommend parking in the pay lots. Poulton pay lot is across the street from the Hunt Library, and the Partners Way pay lot is down the street on Partners Way Drive north of the Hunt Library. The pay lots are $2.00/hr each partial hour and a maximum of $10.00 a day. 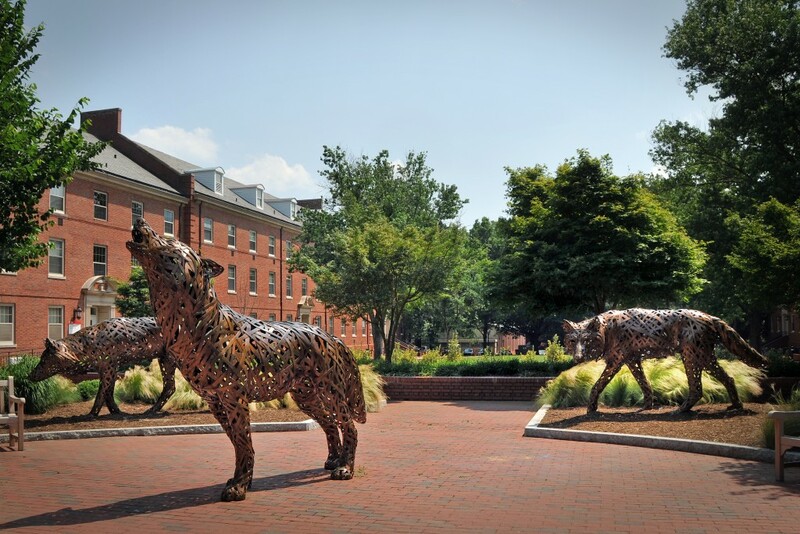 For more information visit: http://www2.acs.ncsu.edu/trans/parking/index.html#payspaces. To make alternate parking arrangements visit, http://www2.acs.ncsu.edu/trans/parking/events.html or contact event parking Special Events Coordinator, Carl McGill at carl_mcgill@ncsu.edu or at 919-515-1600. 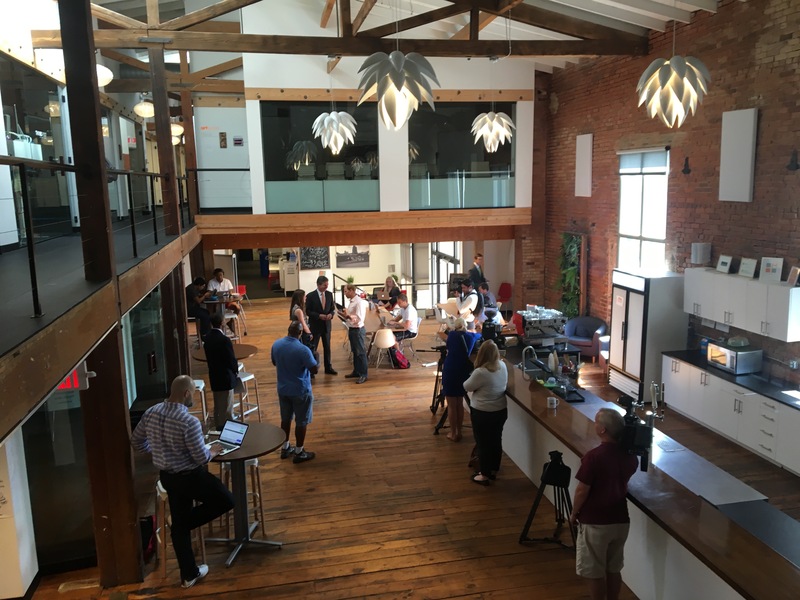 Both happy hours before and after the event will be held at HQ Raleigh, the premier tech co-working space in Raleigh. HQ Raleigh is located in the warehouse district of downtown Raleigh, with an address of 310 S. Harrington St, Raleigh NC 27063. All drinks (keg beer, wine, and mixed drinks) are included. You don’t need to bring any money for this. 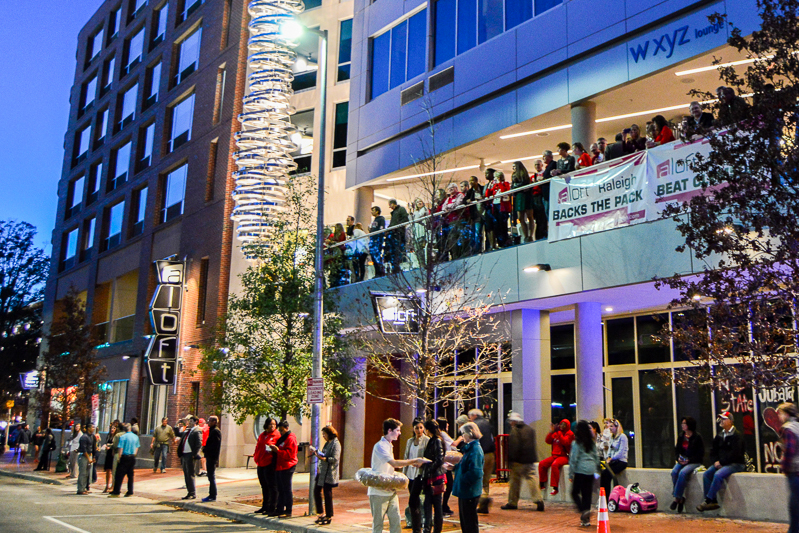 We have secured some rooms for a special rate of $155/night at Aloft Raleigh. This hotel is really nice! It’s brand new, has a cool bar inside of it, and right below it—in the same building—is a gem of a restaurant called Gonza Taco. Not to mention a great local coffee shop called Jubala (to jolt you awake in the morning if you had too many tequila shots at Gonza the night before). Make sure you check these places out if you stay at the Aloft. 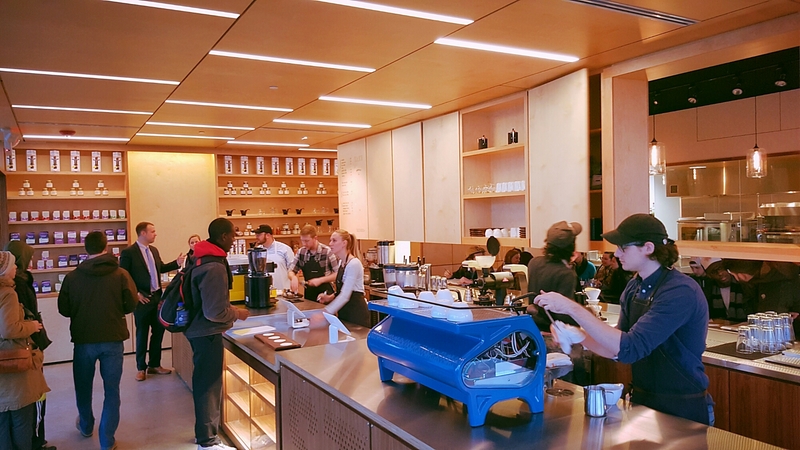 Jubala Coffee is in the same building as the Aloft Hotel. Stop by here for your coffee/espresso fix before you head over to the Summit. 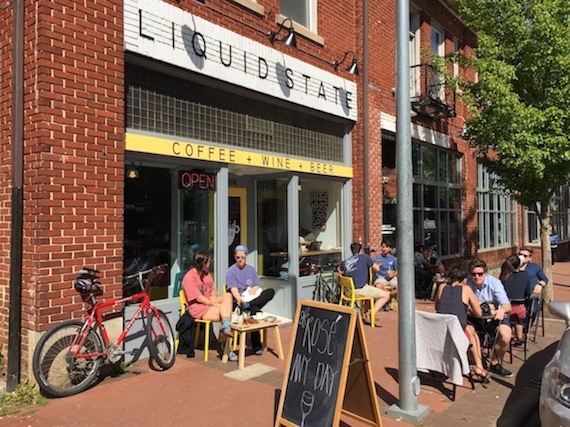 Hillsborough Street is home to dozens of small coffee shops, bars, and restaurants. It’s the road on the north end of NC State University’s main campus, where lots of students mingle and hang out. There’s also some history here…one of the scenes in the movie Bull Durham with Kevin Costner was filmed in Mitch’s Tavern, which is also on Hillsborough Street (but soon being replaced by an Applebees). Gonza Taco & Tequila is also in the same building as the Aloft Hotel. 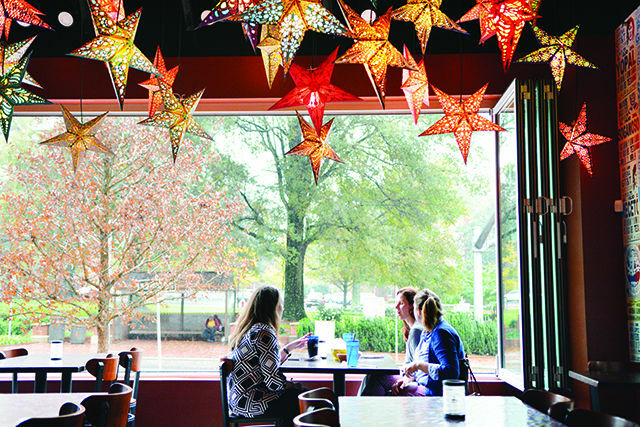 Stop by Gonza, with its wide open windows and cool breeze for amazing tequila and the best Mexican dishes.